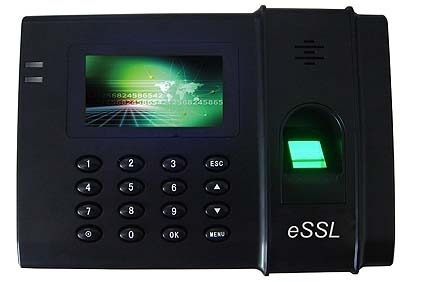 Offering keypad PIN (Password), Smart Card and biometric Fingerprint Authentication options, the Smartcard+Fingerprint combination unit is used in both security (access control) and workforce management applications. The Smartcard+Fingerprint Combination Unit is one of the most popular choices for both access control (AC) and time & attendance (TA) applications. Ease-of-use, no software installation and easy network connection create a simple yet sophisticated enterprise-wide platform for many system level software applications. Wealth Zone is founded in late 2008, with the vision of providing Embedded System Solutions. In the last two years of operation Wealth Zone built niche ability in Mobility and Security domains. As apparent from recent trends, these form the backbone of many Technology driven Solutions in various sectors like BFSI, Education, Energy/Power, IT, Logistics, Manufacturing, Power and Retail. We are a technology firm based in Hyderabad, India. Founded & Led by seasoned and passionate Technology Experts, Wealth Zone is a specialist in SW Systems, Security & Automation Solutions with Integration as the key strength. Founded in late 2008 and registered as a Private Limited Company, Wealth Zone has made significant progress in last two years of operation as being established a credible System Integrator in Security Solutions. Wealth Zone provides One-Stop shop approach by bringing together a host of solutions/services to the Customer. They include: Business Process/Strategy Consulting; Integrated IT Application Development and Maintenance; Security/HW Solutions and Maintenance. Some of our clients include firms from Fortune100. Our architects have been responsible for large scale enterprise web deployments in different parts of the world. Our architecture expertise spans the complete breadth that is necessary for successful deployments, including server and network architecture to application and security architecture. Unique value Wealth Zone brings is about Technology Integration being a single stop solution provider integrating solutions ranging from simple RFID systems to CBRN detection systems. This is furthered by the local support mechanism involving senior industry people with hands-on experience in some of the world’s top MNCs including AMD & STMicroelectronics. We also have excellent relations with India’s top Engineering colleges (BITS, IIT, etc. ), by virtue of being the “Education Technology Partner” of AMD to bridge the gap between Academic and Industry. Apart from active operations people, we do have veteran specialists as advisors coming from Defence, Internal Security, Metallurgy, Pharma, Energy, Steel and Marine sectors. Our associations in Physical security domain include channel relations with Cisco, Axis, Bosch, Verint, Dvtel, Acti, Vivotek, Shyam IP Cameras and Sightlogix. While in IT security domain, we are partnering with Astaro (a leading German OEM in this segment) for UTMs (Unified Threat Management) apart from CISCO. Wealth Zone is active in the segments of Steel/Power/Pharma Plants and Sea Ports. Currently we are engaging with some of the major customers in these domains including Vizag Steel Plant and Visakhapatnam Port Trust which are among the biggest in the country.